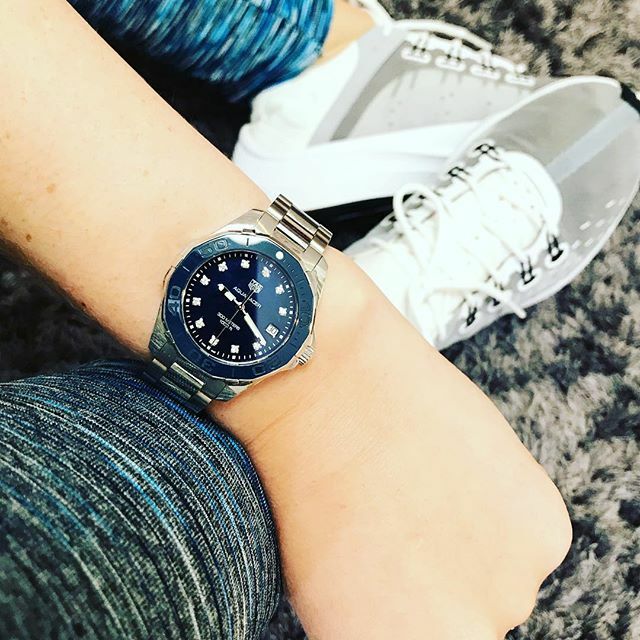 blue ceramic tag heuer aqua racer . 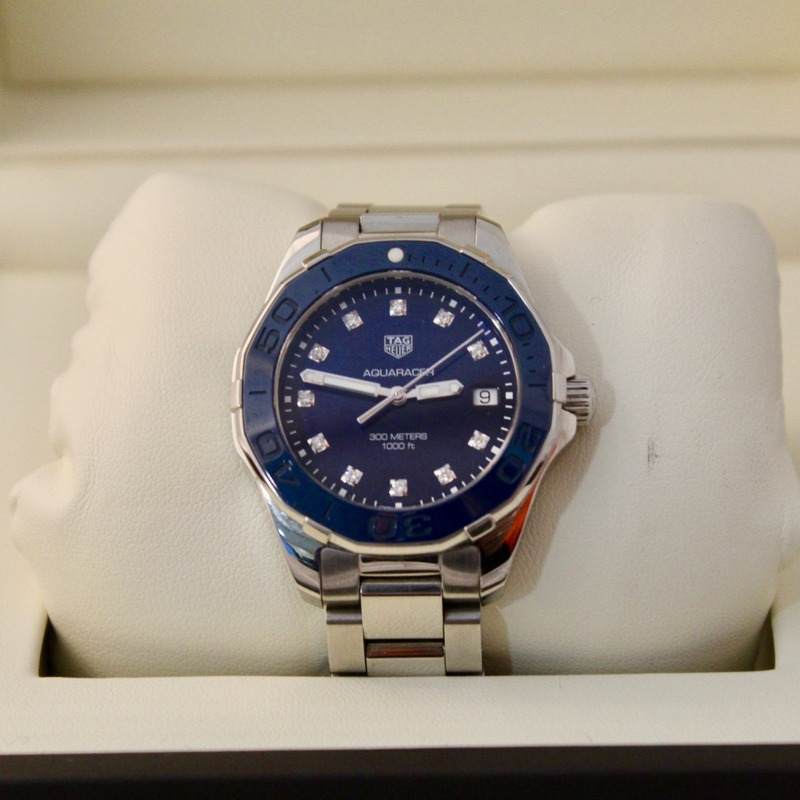 Stunning Tag Aquaracer with blue ceramic bezel and diamond set dial. Watch comes with full box & papers.